You're determined that you're going to find the best option so you start researching course platforms. WordPress is inexpensive (basically free if you do it yourself) and looks great... but unfortunately, it's a very technical set up process - ain't nobody got time for that. Their marketing is great and you're just about ready to pull the trigger. But this nagging voice inside is saying "whoa, $100+ per month? What if I don't sell enough of my program? $1200 a year to host my course feels like a lot of money!" So you come back to WordPress - maybe even start building it. But it's complicated and time consuming, and before you know it you're tearing your hair out wishing you could just find an inexpensive solution that isn't SO hard to set up. 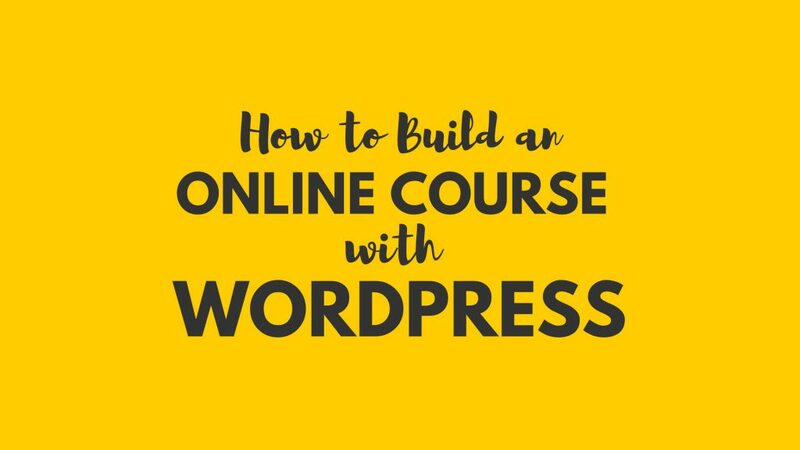 Watch over my shoulder as I walk you through the entire process of building a WordPress Course Website from scratch. You'll learn how to create a beautiful, secure learning environment that your clients will love and will keep your intellectual property safe. Get access to insider tips (like how to install an SSL on your website for free), how to get around paying for add-ons if you want to bootstrap, and which hosting companies you can trust (hint: not all hosting companies are created equal. Getting ready to launch your first course? Or maybe want to launch your next course in a big way? Then you'll love our Online Course Planner! This simple, yet powerful workbook will help you plan your course with the outcome in mind, to make sure your training covers all the bases and hits the mark with your target audience. QUESTION: How is the course delivered? ANSWER: After you purchase, you'll receive a login to our Members' area where you'll get full instant access to the entire course content, which is delivered via step-by-step video training. QUESTION: Will this integrate with my CRM (Ontraport, Active Campaign, Aweber etc)? ANSWER: Yes, it does and we will provide you with instructions on how to do it (very simple). QUESTION: Can you just build it for me? ANSWER: Yes, we sure can! If you'd rather not do it yourself, click here to get one of our Done-For-You Course Websites - delivered in just 5 days! ANSWER: Yes, if this training doesn't completely overdeliver, simply get in touch within 30 days and we'll send you a refund, no questions asked. QUESTION: How many courses can I use my new course website for? ANSWER: You can use this site to host as many courses as you like! ANSWER: Maybe. If you already have hosting and just want a very simple site, then you don't need anything other than WordPress and a few free plugins. But if you want to get fancy and create a really beautiful experience for your clients and students, then you'll want to purchase some of the premium plugins we share in the advanced part of the training.